This page will provide basic self improvement advice that most people can apply right away with a minimum of effort. At times we get so caught up in the technical aspects of personal development and make things very complicated. Self improvement do not have to be hard at all! It involves many aspects that are obvious to a healthy, happy and prosperous life. Perhaps we have heard and learned enough about all the things we could do to easily improve our lives, but it is worth mentioning them again. So let´s get very basic. What self improvement advice can you implement into your life right now in order to grow personally and improve the quality of you life? 6. Be grateful (for what you are and have). 11. If more than 10 self improvement advice are listed here, it makes it harder to apply right away. :) But here´s a link to some ideas about self improvement and success anyway. Moreover, you cannot get too much of self improvement and motivation! Our bodies are not a material object, as many people like to think. If it was, then we would be like the metaphorical body-car; your body is like a car and you would not put any junk into your car, so don´t do it to your body either. Partly true. The body is not just a physical machine generating emotions and thoughts. According to Deepak Chopra and other modern researchers or teachers of ancient wisdom, the body is a network of energy, transformation and intelligence in a dynamic interaction between the world around it. Every breath you take, everything you take into your system (food, water etc), every thought, sight and smell have an effect on your body. Naturally therefore, the food and other nutrition you take in play a major part in the quality of your health. Our bodies renew their cells totally every 3 years! Isn´t that incredible! Even in about one year, 98% of all cells in our bodies have been replaced by new ones. And from where do we build our "new" bodies? From everything we eat and drink! If I would give just one self improvement advice it would be: make your daily food intake as healthy as possible! It is indeed your fuel and the building stones (literally) of your body. No need to get extreme, but strive to make your daily food nutritious, pleasurable and something to look forward to. The last point is by no means the least. Cut out coffee. Tea, especially green tea is better. Minimize your intake of alcohol or cut it out completely. Do not use artificial sweeteners. Aspartame is especially damaging, and especially for kids. Exchange your white bread to a browner kind with more fibers. Try exchanging one slice a day if it seems hard. Avoid semi-manufactured articles. Strive to be your own cook and cook with pure ingredients. (Example: Do not buy ready made pasta sauce. Make your own. Avoid cakes, biscuits, sweets and sugar. Eat nuts, dried fruits, fresh fruits and for special occasions, make your own cakes and cookies. Fish is better than meat. Brown (rice, sugar, flour, pasta...) is better than white. All of these self improvement advice can be implemented gradually with joy and without guilt. Do not feel bad about bad habits. Just exchange the bad ones with some better ones. Although I am rather fanatic about my own exercise routines, I do not force them upon others. Everybody has to find his or her own way of getting exercise. I prefer simple routines, simply because they get done. My best self improvement advice regarding exercise is this: The main thing is to do some kind of exercise regularly. Get a pair of comfortable shoes and start today. No time? Walk your kids to school. Park your car far away from your destination. Leave your car at home. Get off the bus one stop before your usual stop. Take the stairs in a building, not the lift (sometimes walking is even quicker!). See my point? Depending on your situation, make some small adjustments just do something in the right direction. And once it is a habit, add some more. Cutting the grass, playing with kids, shoveling snow, cleaning the house... The main thing is to get out of that apathetic, passive state and get started. That summarizes the self improvement advice on exercise. Am I really that busy? Busy doing what? Do I nurture my body and soul? Is my bedroom clean and inviting? Do I allow enough fresh air and oxygen into my bedroom at night? Do I wind down at night, or do I waste my time in front of the tv and collapse into bed? Do I have something to look forward to the next day when I go to sleep at night? Do I keep a personal development journal next to my bed, so I can empty my head of worries and thought by writing them down before I sleep? 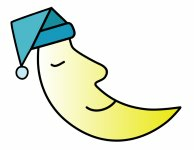 Do I usually drink coffee at night that is affecting my sleep? Is someone else or something disturbing my sleep at night? Remind yourself that this is your life. You actually own it. It is a great exercise to imagine that you have only a month left to live starting from today. Ask yourself what you would do then. Spend some more time at the office? Argue with your kids even more? Do more things out of duty and fear? Fear death so much that you wouldn´t live? Tell your family and friends how much you love them? Listen to your kids and look them in their eyes? Give money to your favorite charity? My self improvement advice to myself in this situation: I tell myself that life is great and so is death. Death is just another dimension, nothing to fear. But I will enjoy and embrace this life of mine while I have the chance!! Take a short break from time to time during your day. Nobody can be constantly on the highest gear. We all need to wind down to reflect and recharge our batteries. There are plenty of methods, but since this is about simple self improvement advice, I will not recommend another yoga session or retreat for a week. Simplicity is key. Do not allow tv-sets or computers into your bedroom. Get an audio with simple relaxation exercises that you can listen to regularly. Learn some simple meditation techniques. Reprogram your self into believing that you do yourself a big favor when you slow down. You are not lazy, just kind to yourself. You will perform better after a break or rest. When you realize that you are fortunate to be alive, that you are unique and possess certain skills, express your gratitude. You can reinforce your message by using affirmations, which is a great way of reprogram your subconscious mind. You will find plenty of useful affirmations under the appropriate tab to the left to get you started. Once you have got the hang of it, create your own affirmations. Often express and display an attitude of gratefulness and appreciation. Gratefulness has a very high vibrational frequency, the opposite of anger and bitterness. When you feel bitter, sad or angry, counteract that low frequency with thoughts of gratefulness, joy and happiness. As Eckhart Tolle puts it: "Pain cannot feed on joy". What a great piece of self improvement advice. Some people get very provoked by the concept of there being no stress. Why? Most of us feel the stress at a higher or lesser degree every day. Of course there is stress! Right? Right?! No. There is no stress on its own. There are only situations and our reactions to them. We can chose to react sensibly and constructively. Or we can chose to react insanely and destructively. And a great deal of stressful situations can be eliminated through personal development. Goal setting is one example and positive thinking another. In this section, the positive attitude of the Hoyt family will speak for itself. _________________ (add your own suggestions here). Yes indeed. If we do what we have always done, we will always get the same results. Change can be a scary thing, but development is inevitable. All self improvement advice on this site are intended to help you on your path to a life of fulfillment, joy and wealth in every sense. Because in the final hour, it is not about money and possessions, it is about you and God. So make sure that your life is part of something bigger than yourself! "Be who you are and say what you feel because those who mind don´t matter and those who matter don´t mind!" Learn more about self improvement advice from our newsletter. We offer our readers a free subscription to "Free Inside Out" Newsletter. In it, we cover topics like self improvement advice, affirmations, inspiration and lots of other personal development tools and information.